5 Duronics AF1 – what do the customers say? Duronic is a relative newcomer to the consumer electronics and kitchen appliance market having began in 2005. However, since that time they have been gaining credibility and trust amongst British consumers by designing and building quality products with people and innovation at the forefront of what they do. 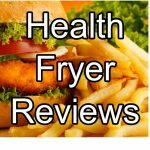 Here we review Duronic’s low fat fryer, or to be specific, the AF1 /B Healthy Oil Free 1500W Air Fryer Multicooker. The AF1 is available in black or white, but we reviewed the black in our tests and to be honest we prefer that color. Black kitchen appliances are becoming more and more popular in UK and the Duronic, with its gloass plastic outer casing really does look striking. First up, we love that a young and relatively new player in this market provides a 2 year warranty which underlines Duronic’s confidence in their products. The Duronic AF1 is priced with budget in mind, so if you’re looking to give low fat cooking a try for the first time with minimal expense this would make an ideal choice to go for. Heating is provided by hot air circulation with little or no oil needed. In our tests, we cooked a basket of frozen thick cut chips with no added oil for 20 minutes – they came out cooked perfectly with great taste, just what you want from a cooker like this. 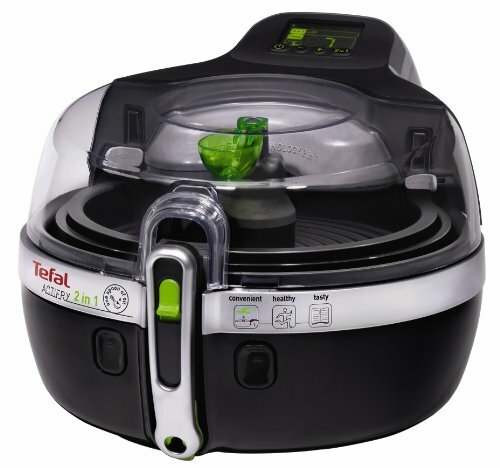 There’s no transparent viewing lid as with other fryers such as the Tefal ActiFry plus, but not everyone feels the need to keep checking their food. There’s also no stirring paddle so a quick shake of the food basket midway through cooking is advised. Some reviews report that no rotating paddle is a good thing as having one can break-up delicate food items such as fish. All removable parts are dishwasher safe so cleaning the unit is a simple and convenient process. The unit is well built with a sturdy handle to insert and withdraw the food basket. If you have children around then you’ll be pleased to hear this fryer has a cool wall exterior, so tiny hands won’t get hurt should they happen to touch it while it’s on. There’s an adjustable temperature dial so you can set this to the appropriate temperature up to 200 degrees depending on what you’re cooking. 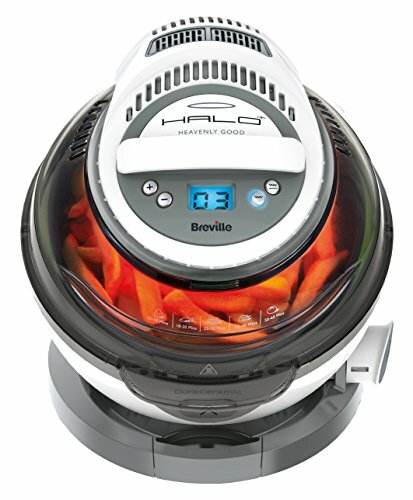 The built in timer has an auto-off function and gives an audible alert when the food is ready. One of the advantages self contained mini cookers like this gives you is a splatter free, safe and odourless cooking experience. 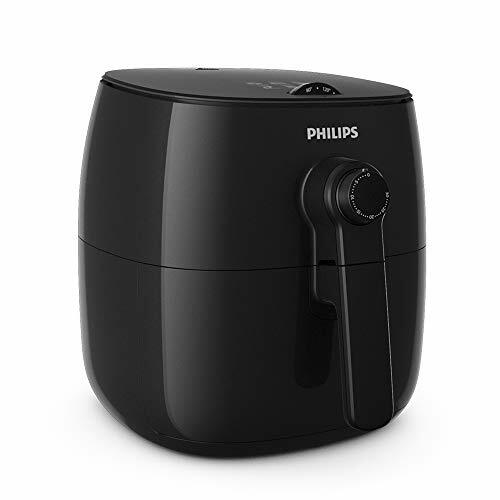 We all know how the smell of a deep fat fryer can linger for hours but with this unit, smells are almost non-existent. So what kind of dishes can you cook with the Duronic AF1? Chips, Chicken Wings and Drumsticks, Lamb Chops, Sweet corns, Chinese Spring Rolls, Indian Samosas, Battered Fish, Roasted Vegetables, Soups, and even cakes and desserts! This model is popular with buyers on Amazon with over 1400 reviews left, giving it an average rating of 4½ out of 5. The dimensions are 31 cm x 33 cm x 23 cm and the fryer is rated at 1500 Watts. As this is a budget model, there’s no spoon (for the oil) included, but a nice surprise was the free recipe book, especially this being a lower priced unit. 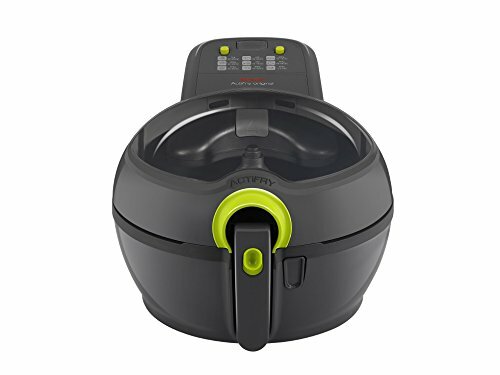 The Duronic health fryer really is an economical choice for the budget conscious and as mentioned, the 2 year warranty is the icing on the cake. Duronics AF1 – what do the customers say? 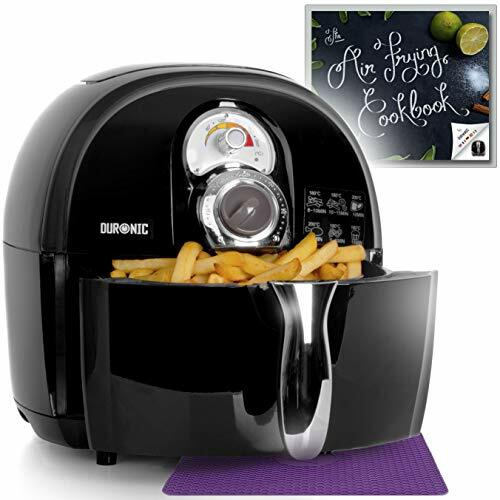 Overall, the Duronic health fryer has overwhelming positive reviews with many comments around the ease of use and great tasting food it cooks – without the oil. Some were initially concerned at opting for a relatively unknown brand but were glad they did in the end, due to the fantastic results they’ve had. One reviewer even went as far as saying it had taken over all of the cooking in her kitchen! 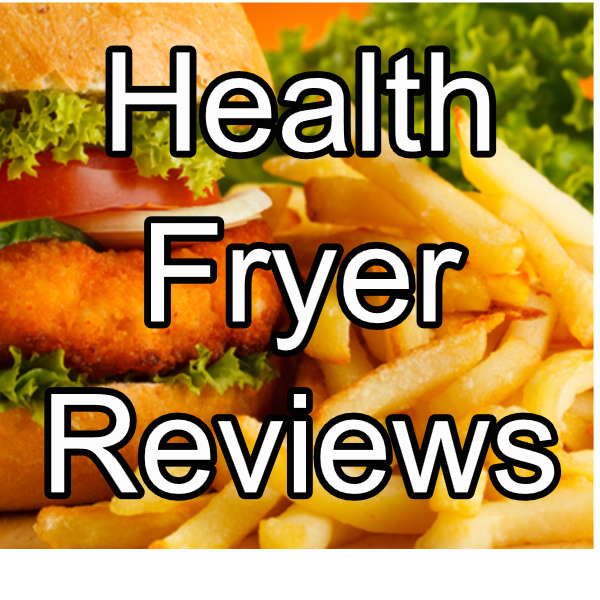 We can understand this too as health fryers do give you lots of options of what to cook with them. Customers like the large capacity basket, fast cooking time and evenly cooked results. One reviewer reported that the power cord is only 30cm long but this is wrong. All you need to do is gently pull on the power cord and more cable will be released from the unit, up to about 1 metre in length which we found to be plenty long enough on our test worktops. Some customers would have liked to have seen a separate panel, allowing to cook different foods separately but given the price, we don’t see this as a big issue. If you really wanted a divider then consider the Russell Hobbs 20810 fryer (see our review here of that). All in all, the Duronic AF1 Multicooker is a great option for the budget conscious buyer. If you’re new to low fat cooking then this would be an ideal choice. With over 700 positive reviews on Amazon, you can be confident that this relatively unknown brand will deliver in terms of great tasting, healthy food.